By dodiano, July 26, 2014 in The Workshop! I've been a member of quite some years on this forum although I read a lot I am not much of a guy that talks much on the Forums. 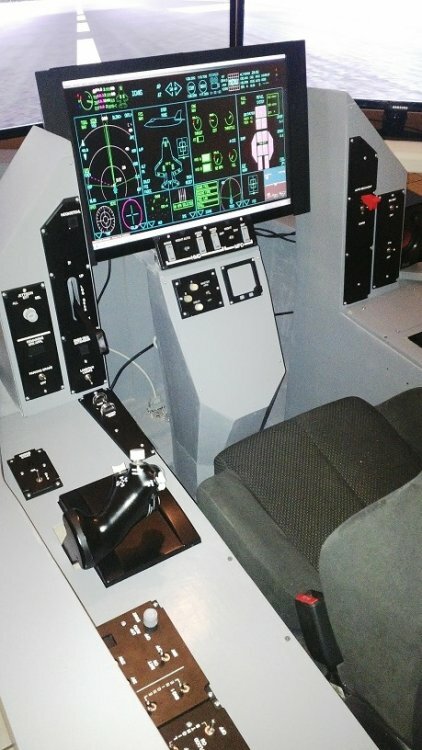 I have a small company named www.throttletek.com we specialize in throttle quadrant replicas, flight controls and even full sims for entertainment and training purposes! This is not a commercial for my company but more a request for help for a fellow Macross fan and cockpit builder. 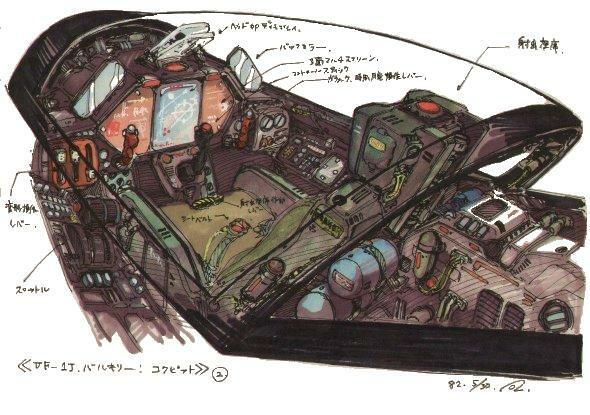 I want to make a mockup of the VF-1S Cockpit! I even want to make it flyable with Flight Simulator X or any other software just for the fun of it! I even thought of using my WII and use it to Play the ROBOTECH game just for fun. 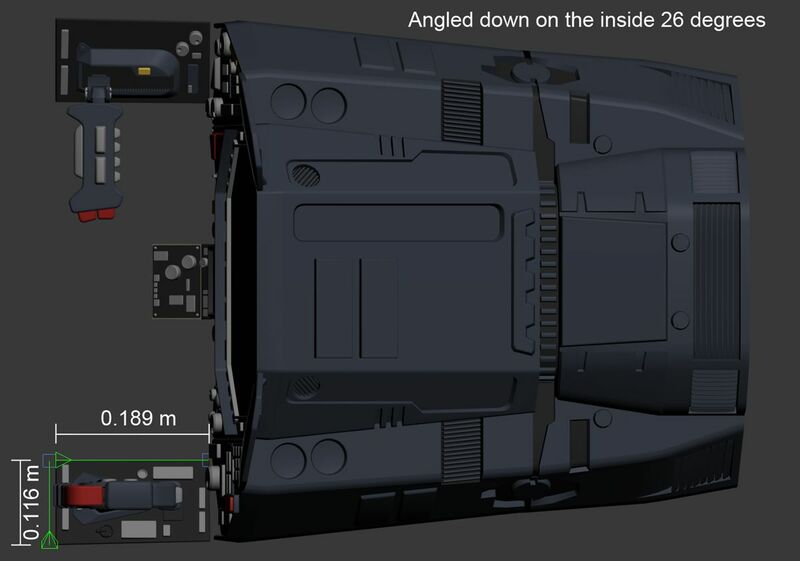 I just want to know if some of you fine gentlemen couold help me with detailed pics of the Valkyrie cockpit and closeups of Flight controls and panels inside the pit! I want to make it flyable within Flight sim limits... Even thought of using a Touchscreen to emulate the communication touch screens within the Flightdeck itself! Anyways if someone can help me out with pics ... well it would be amazing!! I refuse to call them Theories! Interests:Models, S.F., Public Radio, Philosophy (PostModern), Internet surffing, Drawing. . .
Found this http://www.starwraith.com/forum/viewthread.php?tid=9042 with Google. maybe it will help? Go thru Mr. March's site or get a hold of him if you can. Thanks guys this is excellent material!! 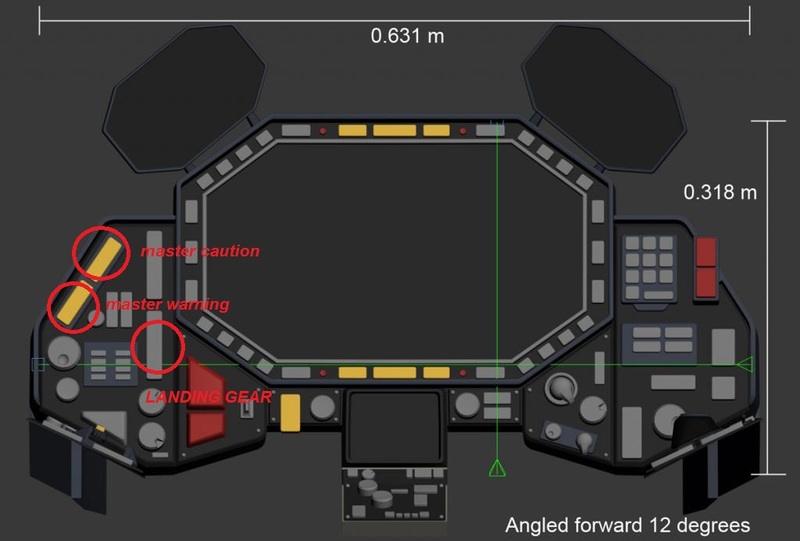 I saw the videos you posted wish he stayed more in certain parts or detailed parts of the cockpit but Dan's 3D models are very detailed!! Thanks I will keep you posted on my progressI hope I can talk to Dan and get some basic measurements for a Start! Anyone has some basic measurements of the Main Instrument panel? That I could start with? I personally favor the DYRL cockpit. It's a more modern design, with a more sensible HOTAS control scheme. Subsequent variable fighter types from later series use the DYRL style control layout as well. I followed the link to your website and had a look at some of the products. Holy cow, those are some nice looking quadrants. I've spent my fair share of time in the Lear 45 and I recognized those thrust levers before I even read the description. Too bad you're in El Salvador or I would've asked you to bring it to MWCon. Then get get some beers and pupusas! I can totally take the Beers and pupusas bud!! LOL!! You are right the DYRL Cockpit might be the way to do it! It is easier and I can put more detail since there is a lot of more info! Thanks for the compliments on our Learjet throttle! We have sold a couple of those units and they are a blast to fly with!! Anyways if you guys could help me with some basic measurements I can start that Main Instument panel!! Nice, will definitely follow this. In a few years I plan to build scale simpit of my own based on my own designs as well. Hi Guys! 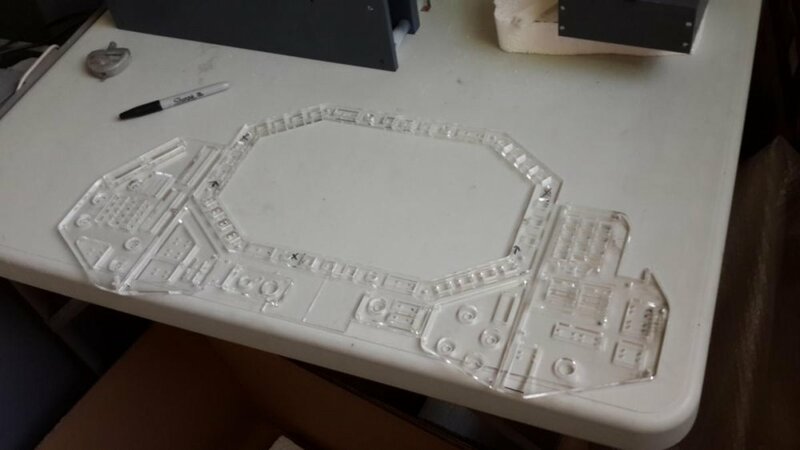 I have to Thanks Danbickell for the Help on the measurements from his 3D cockpit which I will use as a Base for this project! Now I have started to design the panels and to be realistic I want to add several Items that will appear on a realistic Flightdeck... Specially a Fighter one! For example Landing Gear which is not depicted anywhere will be added and also have the perfect place for the Master Caution and master warning!! 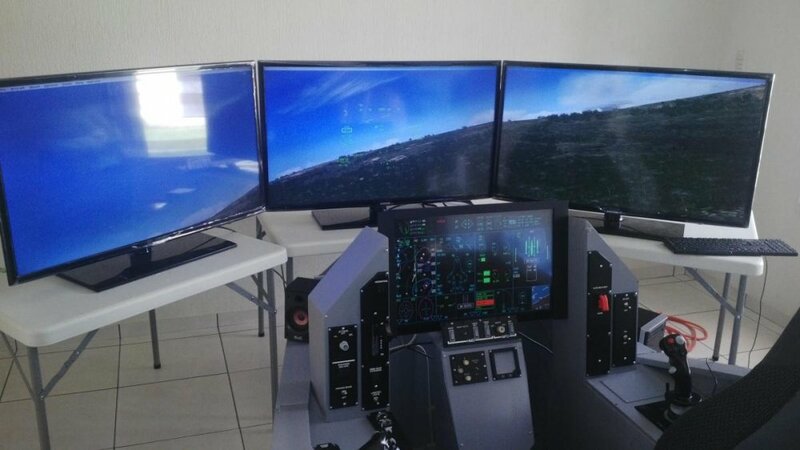 I want to show you guys my F-35 cockpit I made a couple of months back which uses a 21.5 inch touchscreen! This project won't need a touch screen but It can be added! Happy to help out. And... this got me to actually load up the model again, twice in one week! It really gets me in the mood, but alas, I just don't have the free time. Anyway, here is the original image I threw together for dodiano, and a new one showing the side panel dimensions as well. Again, these measurements are on-plane with the panels, which will need to be at the proper angles. That F-35 cockpit looks great! It reminds me a lot of the 1:1 scale F-16 cockpit I built back in the 90s. It housed my gaming rig, speaker system (with sub-woofer under the seat), all the best Thrustmaster controls available at the time (including the rudder pedals, modified to be at the proper angle for the F-16), the complete ACES II ejection seat, and was accurately detailed to match the period-appropriate block 50 aircraft of the day. Modern flat-panel monitors and a modern glass-cockpit design sure makes it work a lot better than old-school big CRT monitors. I modeled the complete console structure, which the main CRT sat inside of (where the HUD would be), but it still only covered up about the bottom third of the monitor. It worked well with the flight sims of the day, which could all be configured to put the virtual HUD right where it belonged. The cockpit spent most of the last 10 years dismantled in my garage, and I finally trashed it last summer to free up some space. One of my bucket-list items is to build another cockpit, and this time do the VF-1. It should make for an interesting challenge, as the VF-1 cockpit is pretty small compared to other modern fighters. Looking forward to seeing your progress, dodiano! It would have been nice to see that F-16 Cockpit... I am also planning on an F-16 one! Love that plane and there have been some amazing breakthroughs with Software on that area specially for cockpit builders! Well most of the Main Instrument panel is drawn and it is being prepped to be cut in the Laser so I hope I will have pictures soon!! I am planning on Vacuum forming the Glares upper cover of the VF-1 pit ! THanks for the detail there it will help when making the mould!! I am designing the panels as we speak! 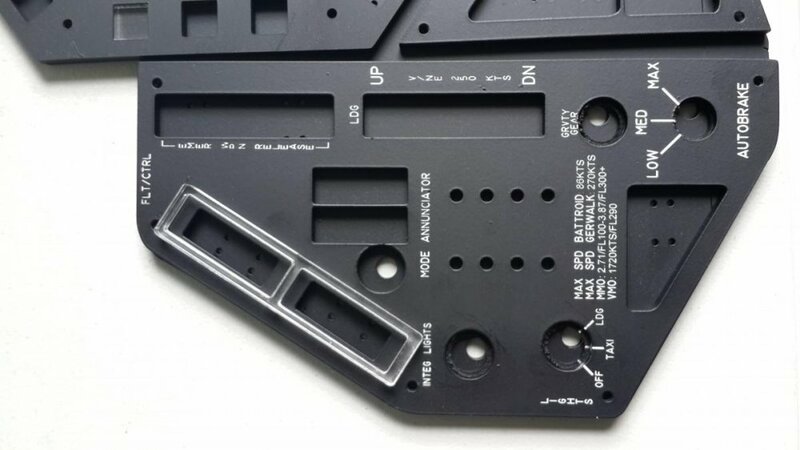 Anybody has an Idea of what the markings or engravings in the switches and panels are? ?Or have a high def pic that I could use? oK Here are the files ready to be cut in the Laser!! After that will paint and décor! This should be fun... Couple of pics! Looking good, but it appears you might not have compensated for the angle of the panels. 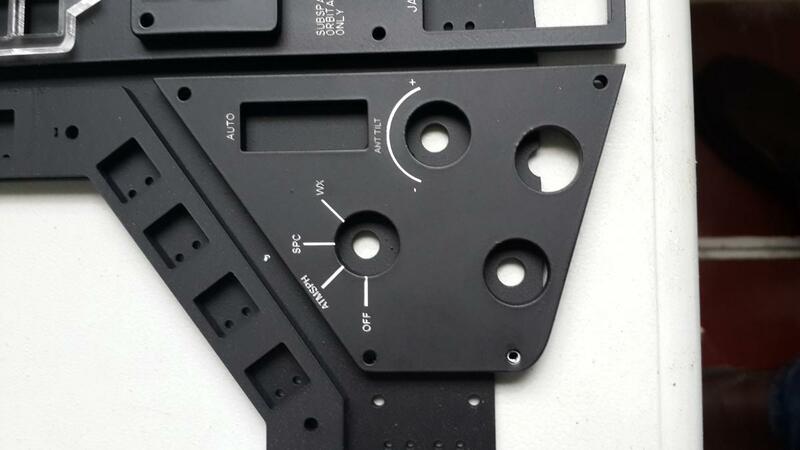 Since the panels are angled forward 12 degrees, your parts will be compressed in the vertical axis if you took them straight from my orthographic image. Made the switches and panels bigger my friend, To compensate a bit on that... Also took some standard measurements like the Square switches on the MFD and the others! Still it is a relatively small Flight deck! Will have some pics o the Cut panels this week! 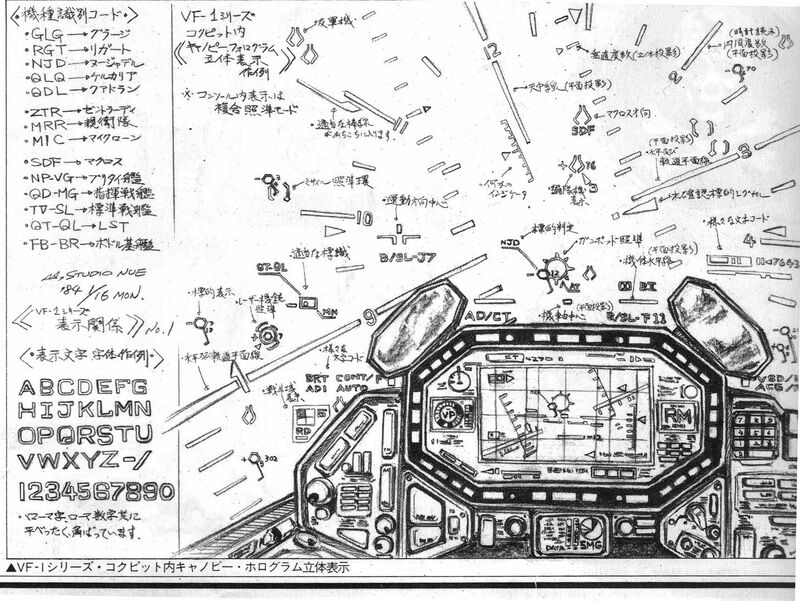 As far as the markings on the panel go, the best diagrams I've seen are on Mr. March's site, the Macross Mecha Manual (http://macross2.net/m3/m3.html). His site is an all around great resource. 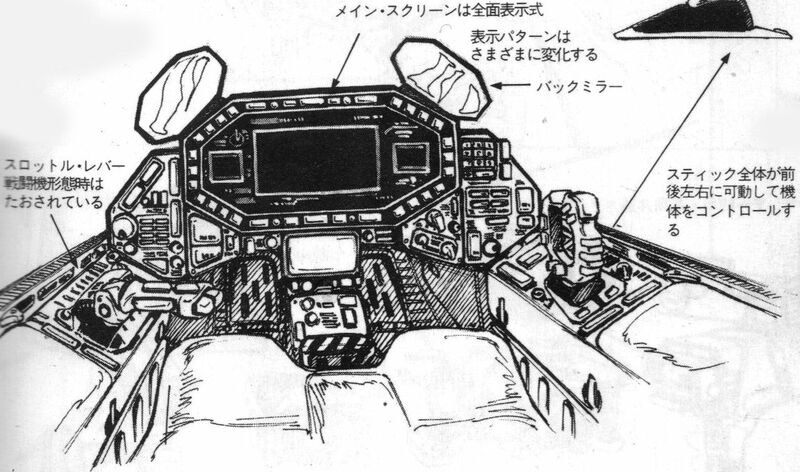 This drawing in particular, http://macross2.net/m3/macrossdyrl/vf-1a-fastpack/vf-1-dyrl-cockpit-instrumentpanel.gif is probably closest to what you're looking for. It looks like a scan from page 043 of the Variable Fighter Master File: VF-1 Valkyrie (http://www.hlj.com/product/SOF35182/Sci). If that's the case, then you're pretty much on your own for coming up with panel markings. I had a close look at my VF Master File book and the markings are nonsense, saying things like "may the force be with you". Since you're experienced designing aircraft controls, it's probably better that you set up the panel yourself anyway. You could try basing it on the panel of an F-14, the aircraft which inspired the design of the VF-1. Actually I think I'll take your Advice... Will look into the F-14 and Modern Fighters... 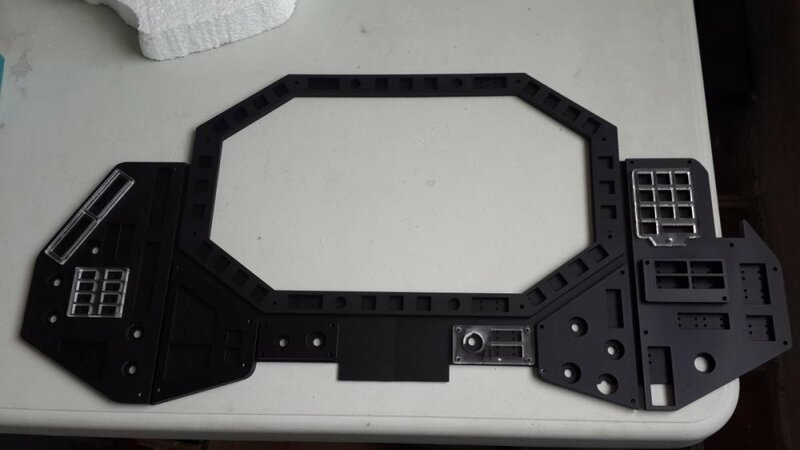 I have designed some panels to be switches and other panels to have annunciators that will lit up! Panels are cut we'll see what systems we can add from the F-14 to the VF-1A! Here are the laser cut parts... Getting prepped for painting. 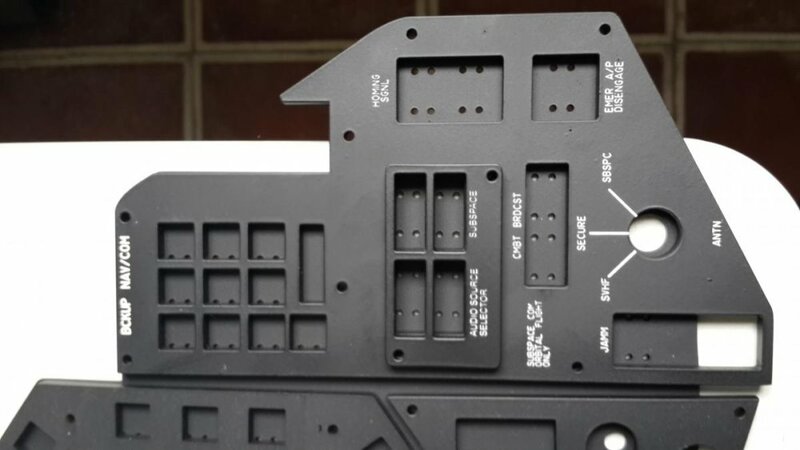 You can see the backer with small holes where switches will be installed and the front panel and the parts that make the panel look 3d... Like the keypad on the right side and indicator panel on the left! 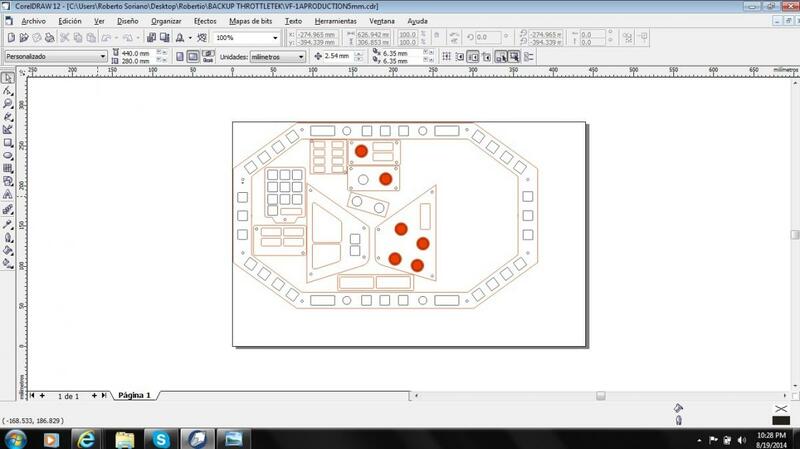 Around 60 switches, 4 rotary encoders and like 8 rotarys and 2 3 - position switches will be installed. Quick update! Panels have been painted.... Several layers of paint have to be applied next step is painting and installing Switches and then add them to the panels... But first I need to backlit and engrave the panels! I have been thinking this through as a Pilots perspective.... Left Panel seems like a Flight control type panel... Hence landing Gear, annunciator panel, master caution and master warning.... So I will go that way on the left side.... The right side where the keyboard is placed it could be a multiple entry keyboard, like for Radio Freq. changes, Navigation entries, in the case of atmospheric flight Heading, bearing or coordinates, and in Space it could be for space navigation. Since most of the systems will be worked within the MFD or the switches in the largest panel (Weapons, targeting, systems, status) and the rest using the touchscreen within the Main Instrument panel I just need to decide what to do in the rest of the panels. There is one on the left side just below the MFD display that has a covered toggle switch... Well I was thinking that one could be something like an Emergency power supply recovery system in case of a massive powerplant or electrical Failure. If someone has any inputs on this matter well it will help I will try to see what you guys think once I figure out the systems! Ok I am working on the Lettering for the Panels.... I have started with the Left MIP panel which I have designated FLT/CONTROLS! Normally on fighter planes on the left side you have landing Gear, Lights controls and most stuff concerning Aircraft flight controls. Now the reason I have made mostly annunciators (indicators that lit up) Is that this is a backup mode in case that in Battle you loose the Main Screen.... You have indications on Landing Gear Status and operation as well as other main system failures and also Transformation modes! On the lower side as it happens in real aircraft I have added Certain Speed limitations I took from Macross2.net which gives it a realistic touch! The Parking Brake is the big switch and is activated with the switch and deactivated by pressing the rudder pedals brakes! Then there is the Big Switch above landing Gear Lever... That one is the EMERGENCY WEAPONS RELEASE that Drops all weapons for performance reasons or a massive failure. 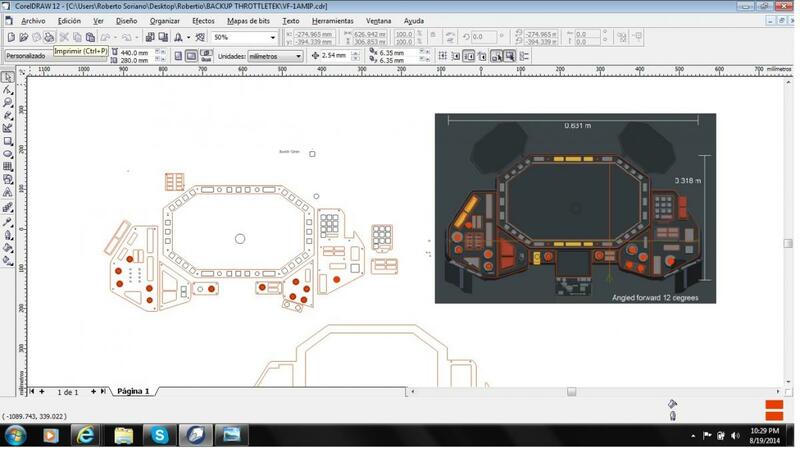 We have Master Caution and Master warning and on the 2 round holes I have to add a selector for lights, Landing and Taxi! Any comments to make this more realistic or better... Let me know!? Aircraft parking brakes are actuated using the rudder pedal toes, I don't think I've ever seen a e/p-brake on a console before. I'm trying to recall everything in my old OH-58 cockpit, but it's been almost 14 years. Most of the stuff on the left side of the cockpit of the 58 was all radio equipment. Is there a fuel dump switch you need to add? The new F35 has the parking brake on the left main instrument panel console.It is a togfle switch. Brakes are actuated with rudder pedals and they deactivate parking brake ... Emergency Parking brake was called on the Embraer E190 I flew where the parking brake is also a mean to brake the plane in case of an emergency... Same thing on the Airbus A320. Fuel dump not neccesary since valks dont use fuel... but thanks for that idea. Here is my latest progress nav/com panel and radar panel... Nav panel has the audio selector so you transmit and receive in subspace frequencies as well as atmospheric freq at one independent channel at a time. Just like the Audio Control Panel in most aircraft you select the channel you transmit and listen. I also added a switch for when minmay attack is used it is broadcast on all frequencies "COMBAT BROADCAST", as well as an enemy radar signal and radio jammer "JAMM" and Emergency Autopilot disconnect... Once again this are mostly backup systems in case of the MFD touchscreen failing! Radar panel has functions for space and atmospheric targetting as well as weather for weather radar and tilt to manually control it (antenna) like in real Aircraft! The Auto mode is a computer mode that decides according to Atmospheric conditions, altitude etc.... The best mode for Combat targeting! The VF-1 doesn't carry fuel, exactly, but it does use reaction mass while flying in space. From a control management standpoint it could behave the same way. The keypad on the right side panel reminds me of a KNS-660 FMS (which I've actually used) or the ICP on an F-16 (which I've only seen pictures of). I'd imagine it's alphanumeric, like the keypad on a phone, and can be used for data entry in any system, controlled by a rotary switch or selector buttons or something. The screen directly below the primary flight display looks like an FMS display. Alternatively, since there don't seem to be any standby flight instruments on the panel, that screen could fill that function. I'd imagine the most practical approach would be to come up with a list of controls that you'd need to operate an aircraft like the Valkyrie, and then start installing them on the panel. Keep in mind that systems tend to be grouped together. All of the lights will be next to each other. All of the radio controls will be next to each other, and so on. Since the VF-1 is a nuclear powered aerospacecraft, it won't be exactly the same as a modern aircraft, but will still have some analogous controls. One example I can think of is firewall shutoff valves and fire extinguishers. You could instead have "Emergency Reactor Shutdown" handles or similar. 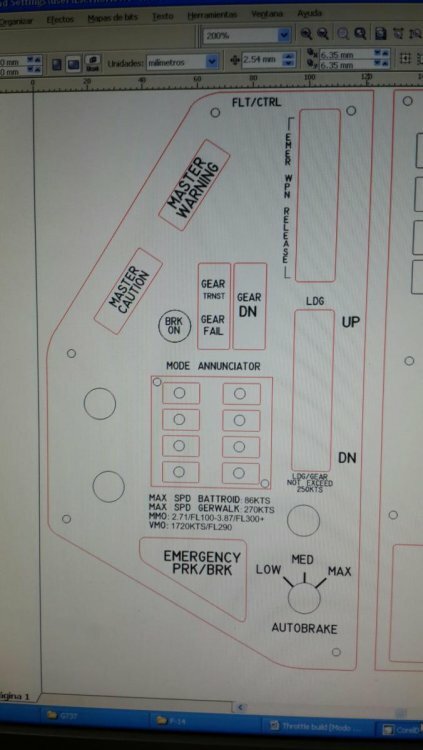 Yeah actually the Keypad is a Entry pad for Navigation and Radios... Reason for the NAV/COM panel as a whole you only have communications and navigation stuff... Also looked like a good palce to add the Audio management panel. You are right when you say that systems are set togheter, Reason I have divided the pit this way... Left side is Flt controls and annunciators as well as lights... Landing lights etc... Also the control of the Integrated lighting for the panels are there. Master Caution Master warning and what I like to call the mode annunciator which is basically a standby panel that throws you warnings this is useful if you loose your main MFD or central touchscreen display. And also is a visual confirmation of changes in the valk or failures that probably you cannot check on your main screen cause of combat conditions. Take for Example the F-35 which in my opinion the Flightdeck is a lot like a Valkyrie... You have like 24 switches total all systems/weapons/fuel management/ navigation etc... All are controlled from the touchscreen in the center like a valk would! Rest of controls are Backup systems in case the screen fails and basic switches... That is the logic I am working this. I made the Radar Panel cause it is a very Key panel on any aircraft specially Fighter planes and of course targeting the enemy. Tomorrow I am up to the next lower panel that only has 4 Switches I want to make that the Weapons ARM and probably not a bad idea for a Fire Extingushing or Reactor shutdown as you suggest! It has 4 switches 2 big red ones and I made 2 smaller grey ones! Thanks for the input... I am giving it a lot of thought from a pilot Standpoint and adding stuff from the TV show! This is the coolest thing on this forum since Dan's CGI VF-1. A-ha! I knew I had seen some pics of the 1-1 mockup from the Macross Museum! This is looking really cool already! One little nitpick, since we're already discussing the keypad... it should be a separate piece standing off of the panel surface, rather than flush with the panel it is on. The Kawamori detail sketches from DYRL clearly show this. I will consult my reference materials when I get home and see if I can post a scan of the sketch for you. They got this detail wrong on the Macross Museum 1:1 mockup as well. The perspective in these drawings show that the keypad is mounted on top of the panel. If it was flush, you should be able to see the empty space on the panel to the right of the keypad. Actually the keypad is mounted on top bud once I paint it I will show you. It will have the right perspective.